Welcome to the Location Finder of Kerala Tourism. Here you can find places and locations in Kerala with distance from the nearest town and route map. Around 22,000 places have been listed in the service. You can find a place by using the Search facility or through alphabetical listing. The Location Finder is based on the book "Routes and Locations in Kerala", a travel directory prepared by Mr. Kottayam Baburaj. Adimali might lie on the legendary Munnar route but it has been loved by many in the surrounding area for its own peaceful vibe. Among the most vibrant and buzzing spots in all of Kerala, it personifies the spirit of Idukki district. It has a hardworking vibe interspersed with natural boons on all sides, and people exploring the area will find that this area is well worth the pit stop. 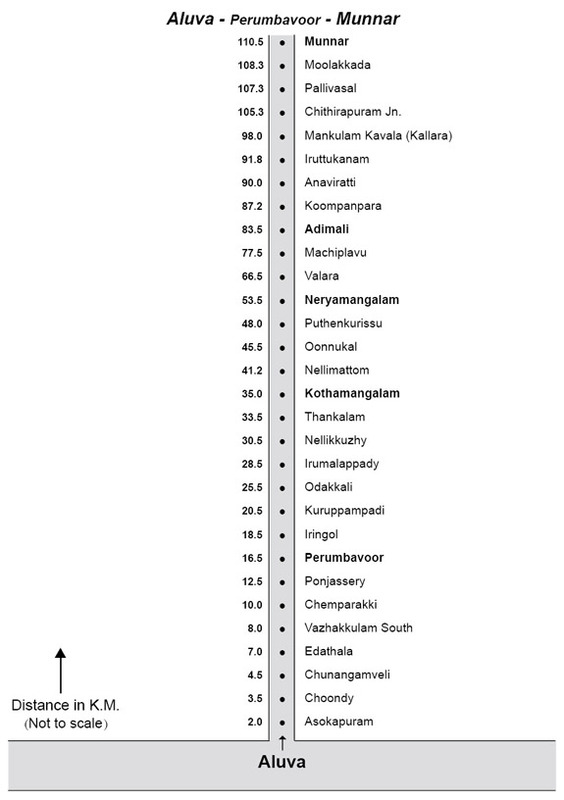 Kothamangalam 47.0 km. Munnar 27.0 km.